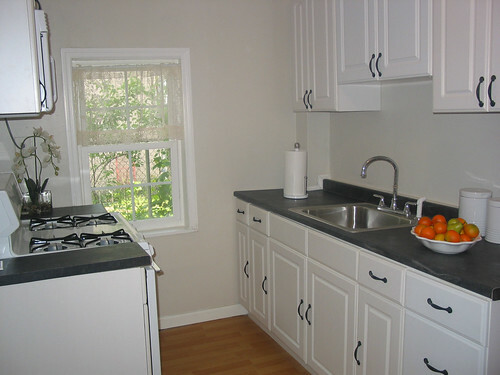 Old dwelling renovation from vacant creating to a warm, cozy kitchen area. Wood flooring, new cabinetry, walls, plumbing, lights, fixtures. We party crafted a customized bench for dining in.